Have you registered for the 2014 Coal Market Strategies Conference in Park City, Utah on August 11 – 13? During our two-day program, Session III presenters will focus on Policy, the Environment, and Technology. Politics & Policy in 2014 – Prognostications on Mid-term Elections: We will examine the critical factors and races influencing House and Senate majorities. Will the Senate shift, and what’s in it for coal if it does? We will focus on key coal / energy state races, and how Democrats may fare amidst concerns over the ACA rollout and administration/EPA actions to address climate. Plus we’ll take a look ahead to 2016. Engineering with Nature – Innovation in FGD Wastewater Treatment: In this presentation, we will look at a unique approach for construction of a wetland to treat FGD wastewater at the Jeffrey Energy Center. This presentation will detail how this wetland offers energy savings, a natural solution to wastewater treatment, addresses key water conservation issues, and provides cost savings to customers. This innovative technique successfully pairs reliable, affordable coal-fueled electricity with environmental stewardship. Winner of EEI’s prestigious Edison Award in 2014. Better News for Coal – Reducing the Carbon Footprint and Creating New Market Opportunities: In this session, we will discuss how it is possible to decrease carbon emissions through technological advancements, expand coal’s market reach by maximizing flexibility in selection of coal types, and to provide a path for cost-effective investment and profitable commercial applications of new technologies. 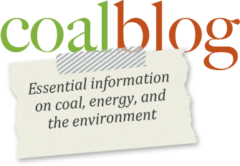 EPA Clean Air Act 111(d) Rule – Carbon and Complexities: This presentation will consider the implications of the proposed 111(d) rule on coal/gas/power markets and electric rates, as well as system reliability, and fleet diversity. We will ask what are the economic impacts of this rule? What are the legal implications of the rule for the industry and the feasibility of the “outside the fenceline” approach? We will also consider the role of states and state PUC’s, as well as EEI’s plans for engagement with stakeholders and the EPA. There’s still time to register!! Click here for more meeting information, registered attendees, hotel and travel info, etc.